Last Friday's Irish Examiner reported that "A shortage of new homes in Dublin and Cork has seen a surge in residential rents since January, the biggest in five years. Clarie Neary of Savills Ireland, “We’ve seen a higher rise in rents in the last month than at any time in the past 5 years and 2013 is likely to see rents continue to rise in prime areas of Dublin. The shortage of properties is exacerbating the problem and we believe that while many people are reluctant to buy, rents will continue to push up even further in these high demand areas. The average national rent rose 2.2% during 2012, representing the first annual rise in rents since 2007, according to the latest Daft.ie Rental Report. 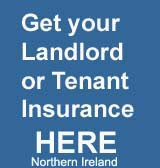 The average rent nationwide in the final quarter of 2012 was €808, compared to €790 in late 2011. The increase in rents is being driven by Ireland's largest cities. Rents in Dublin, Cork and Galway experienced their second consecutive year of growth, with annual rises of 6.4%, 1.8% and 2.3% respectively. The number of properties available to rent nationwide is also at its lowest since mid-2008. Rents elsewhere continued to fall, with annual drops of 1.1% in Limerick city and 2.8% in Waterford. Average rents outside of the cities experienced their smallest annual decline since the start of 2008 but were still down by 1.1%. Commenting on the report, Ronan Lyons, Economist with Daft.ie, said: "While much of the country is still dealing with a glut of properties from the bubble, it is increasingly evident that there is a shortage of rental properties on the market in urban areas, and in particular Dublin. This may be alleviated temporarily by stock currently held in NAMA coming on to the market, but ultimately Ireland's major cities will need to prevent future inflation in rents by planning for new construction." Year-on-year change in rents - major cities, Q4 2012 Dublin: €1,089, up 4.9% Cork: €797, up 1.8% Galway: €780, up 2.3% Limerick: €638, down 1.1% Waterford: €597, down 2.8%.